Interview: Caroll Spinney, Subject of 'I Am Big Bird' "It's an awfully good job," Caroll Spinney says, of the more than 40 years he has spent on Sesame Street. A new documentary tells the story of the octogenarian man playing a 6-year-old bird. 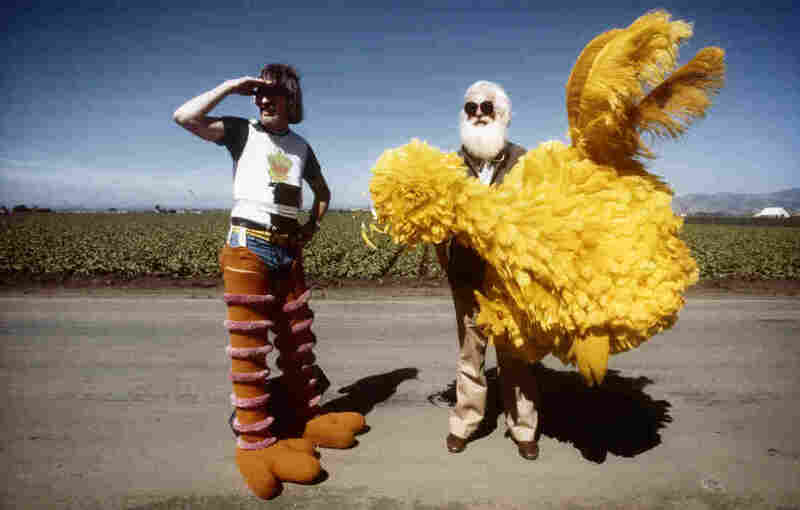 The documentary I Am Big Bird tells the story of Caroll Spinney (left), who has been the man inside the yellow suit for more than 40 years. Big Bird, the towering yellow bird with confetti feathers from Sesame Street, will eternally be 6 years old, but his character is nearly 50. 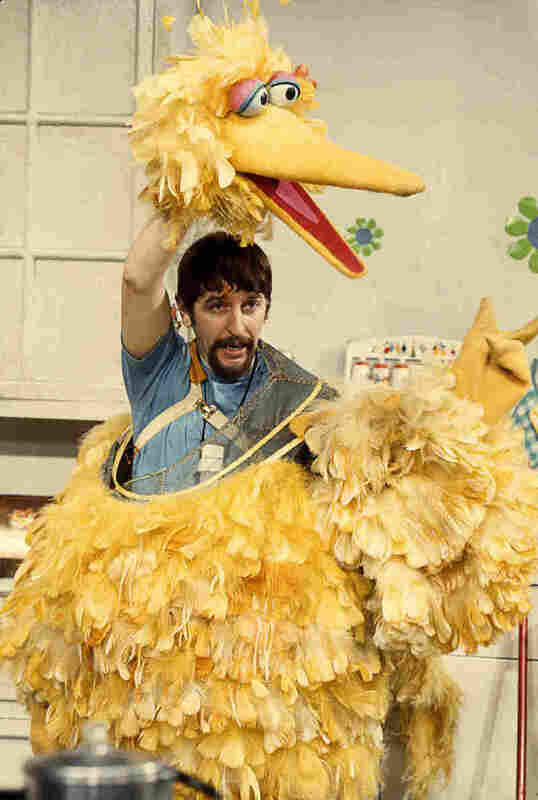 The man behind Big Bird, Caroll Spinney, is 81 — and has no plans to step out of the suit any time soon. Spinney, who also plays Oscar the Grouch, says the Big Bird voice is actually just his own voice, but a little higher. "I see no reason to quit," Spinney tells NPR's Scott Simon. "I can't imagine walking away from being Big Bird. I mean, that's an awfully good job, and there's not too many of them. So, I just want to keep doing it until I can't do it anymore." I Am Big Bird, a new documentary about Spinney's life, opens May 5. Spinney talks with Simon about what it's like to play Big Bird, and also a much darker character: Oscar the Grouch. It's just my own voice, a little higher. 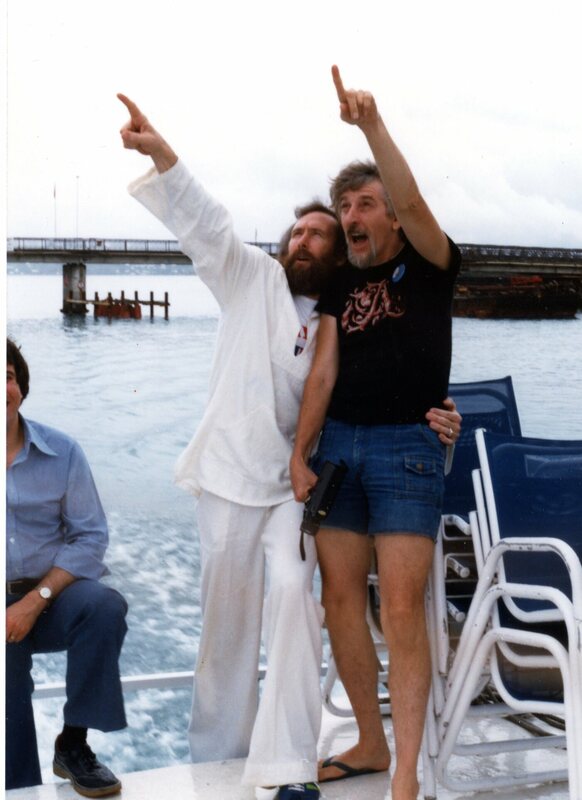 When he first started, Jim Henson — who created Big Bird and Oscar — said Big Bird was just a big goofy guy. ... And I said, "I think Big Bird might be more useful to the show if he were a child learning all the things we were teaching in the show." And so he didn't know the alphabet, even, for instance. 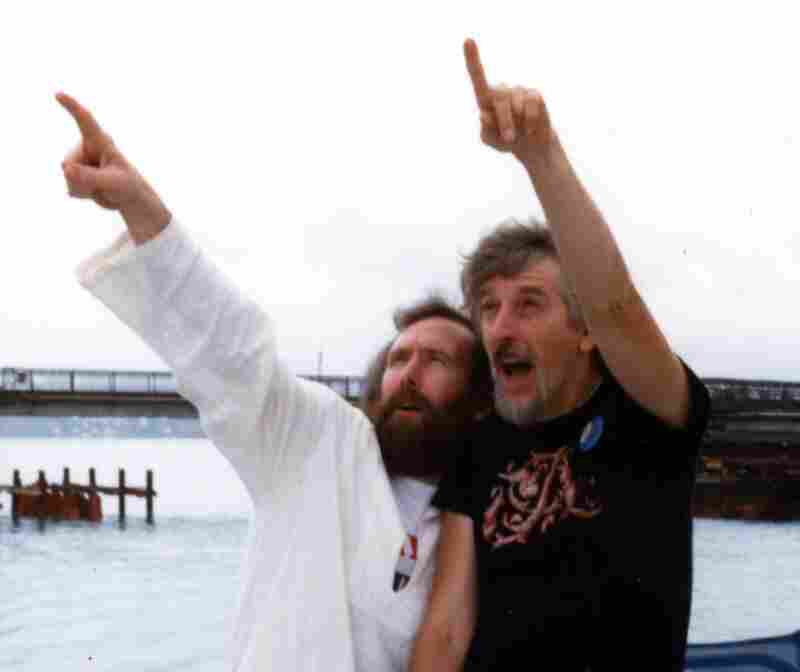 Spinney (right) says Jim Henson, creator of the Muppets, was a "true, true genius and a kind, warm man." I think there's just an awful lot of me in Big Bird, but Oscar is pretty much — I think I know how he thinks because he thinks exactly the opposite of what I think is a good way to be. So the dark side of me [maybe] once in a while, but mostly it's the opposite side of how I am. I've been asked: Does it bother me that people don't know who you are? But they know Big Bird and Oscar. And I don't mind a bit because I know I can play them — and also good pay — and I get to take the pay home. Meanwhile, they're back at Sesame Street. At this point, Big Bird and Oscar join in the conversation — apparently it's news to them that Spinney's been getting paid all this time. Since this is way more fun to hear than to read, we recommend you click the Listen link at the top of this page.